Our band, the City of Trees Pipes and Drums, made it through another Highland Games. The weather blessed us, unlike some years. The turnout seemed very high, and there were lots of good musical acts. The piping competition featured more contestants than ever, especially in Grade 4, which had about 14 players. Despite many excellent performances by COTPAD members, we managed only two medals from judge Rob Barrick (Joel Munn, Slow Air, Grade 5, and Josh White, Grade 4 Piobaireachd). Perhaps we need to review the fundamentals. I came home and opened up the ol’ exercise book and went straight back to single grace notes. There are lots of ways to approach competition. Some people just want to win. Others do it for the feedback from a judge in the effort to improve. Most do it for many different reasons. I competed in my first piobaireachd and was very pleased with my performance, so much so that when I didn’t medal I was very disappointed. It took a while to get over it, but I went back for more abuse in the medley, the march, and the trio. I did my best each time but – for the first time in the three years I’ve competed – ended up without a medal. I have to say it was a humbling experience, but one I’m determined to use to my benefit. I realized afterward that – despite the serious practice I’ve put in with the pipes this year – I focused too much on learning tunes and not enough on their clean execution. So I’m going back to the basics. Listening to some of the younger players, it is impressive how clean their doublings and grips are. I think as an older player I have less patience and want to learn lots of tunes. I have less time left to play than those kids do, after all, but I need to realize that playing one tune cleanly and beautifully is better than a large repertoire of crushed tunes. 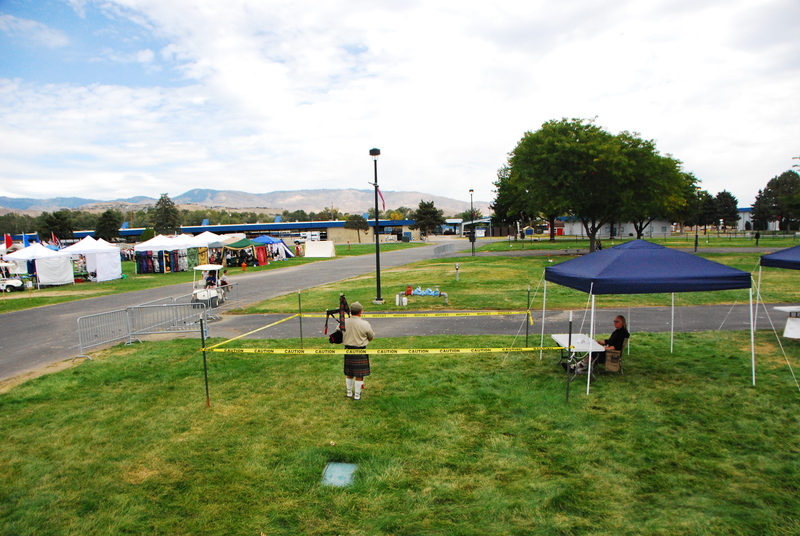 This entry was posted on Monday, September 20th, 2010 at 1:21 pm	and tagged with bagpipipe competition, Treasure Valley Highland Games and posted in Performances. You can follow any responses to this entry through the RSS 2.0 feed.